Obtenez ce transfert de bail pendant 26 mois pour des paiements mensuels équivalents U 834.09$/Mois +Tx apr s incitatif. Vous pourrez rouler 2,554 Km par mois. BMW 2 series 2017 Fermer la fentre. 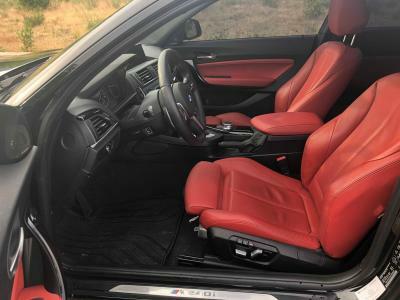 2017 BMW M240i XDrive Lease Takeover Includes the following: -Sport Automatic Transmission with Paddles - 335 HP/369 lb-ft -Black Sapphire Metallic with Coral Red Dakota Leather. Accented with High Gloss Black Trim. INCLUDES PAINT PROTECTION APPLIED FIRST WEEK. -Custom Tint Job. Blacked out taillights and 20% tint on side windows with limo tint on back. (can be removed if needed) $600 job done for the tint. The taillights are not illegal because does not affect the lights in back, very professional company applied. 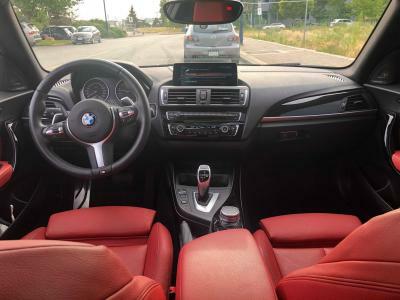 -Premium Package: Rear View Camera, Auto Dimming Mirrors, Glass Sunroof, Park Assist, Navigation, Comfort Access, Services Package -Smart Phone Connectivity Package: Wifi Hotspot, Apple Carplay, Wireless Charging -Executive Package: Adaptive Headlights, High-Beam Assistant, Harman Kardon Sound System, Universal Remote Control, Lumbar Support. -Speed Limit Information -Self Parking KM on Vehicle : 13,600KM Car Condition : 10/10 Reason for switching: I switch my vehicles every 1-2 years. Easiest way is hand my vehicle to new owner and move on. Car was religiously kept in good condition. Only has needed one service, next due in 7000km. Payments are $999/month Inclusive of everything all in. 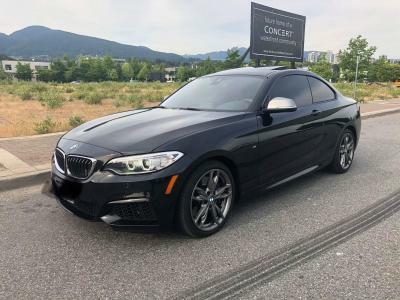 Vehicle Purchase price with fully loaded all options was $67,000km, Current Buyout is $56,600. 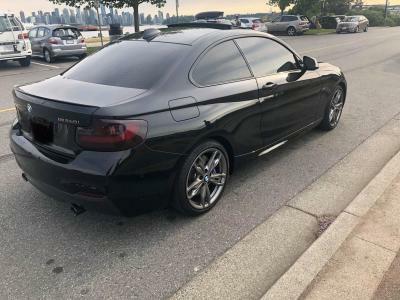 48 Month Lease Agreement (36 Payments left), 20,000km/Year (Maximum 80,000km for the lease) I put a $1000 deposit down on the vehicle which would transfer to next owner. Any transfer fees will be covered by myself 100% Contact me directly by cell phone preferably. Contact number is 604-328-3323. I work for a dealership and will insure everything is done easily and effortless.